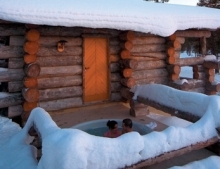 Travel to the northernmost village of Finnish Lapland and retreat to a cosy log cabin located above the Arctic treeline. 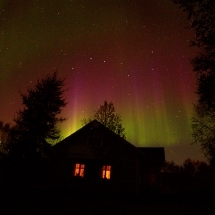 Search for the Northern Lights and enjoy a range of outdoor adventures. 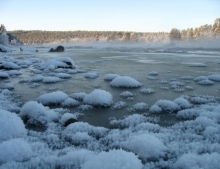 Enjoy a short break at Lake Inari which offers a variety of active, cultural and relaxing elements that will let you unwind in the beautiful and snowy landscape of Northern Lapland. On this photography trip your guide will take you on journey of a very special kind. On your daily expeditions you'll be able to capture the rugged beauty of the Arctic North during day time and the cosmic magic of the Northern lights during night time. 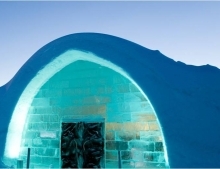 Stay at the world’s largest hotel made completely of snow and ice. Cuddle up below reindeer hides and sleeping bags in your icy chamber and explore one of Europe’s wild places where appearances of the Northern Lights are frequent. Spend your honeymoon or romantic break watching the magical Northern lights from the comfort of your cosy log cabin or through the roof of your glass igloo. Relax in a family-run hotel in the Sami village of Inari in Northern Finland. Enjoy top-class cuisine from the local surroundings and the chance to join a range of winter activities. 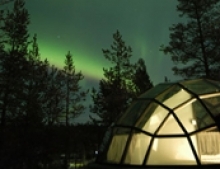 Enjoy a revitalizing short break under the skies of the Northern Lights in one of the cosy cabins or glass igloos in the Kaklauttanen resort in Northern Finland. 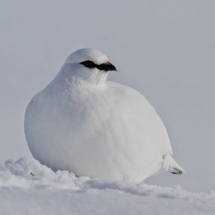 Choose from our selection of Arctic adventures including dog-sledding, horseback riding, reindeer safaris, snowmobiling or ice-fishing awaits you.